The very same words could be used to describe Peter's column writing. 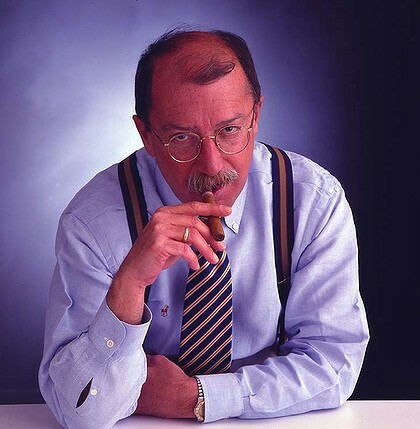 Ruehl wrote his satirical column for Australian publications for more than 24 years. His main outlet was The Australian Financial Review (which, incidentally, last week published as a centrespread The New York Times feature on typewriters). Ruehl was born in New York City in 1947. His father, Vincent, was an FBI agent and his mother Mercedes a schoolteacher. According to his obituary, Peter often talked about his father having trifocal spectacles: one part for distance, one for reading and one for shooting. 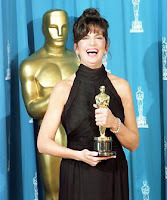 Peter's sister is the actor Mercedes Ruehl, who in 1991 won the Academy Award for best supporting actress and a Golden Globe for her performance in The Fisher King. Herald. They married in 1984 and two years later he moved to her home town of Perth. His obituary says Ruehl often spoke of having a stiff gin or listening to the Grateful Dead at volume late at night with a solid scotch. He loved blues and rock and enjoyed a drink. He was a self-deprecating and humble man. “My approach has always been: you're smart, I'm dumb and let's take it from there,” he wrote in one of his columns.